Our liquid oral product help to keep teeth and gums clean and healthy, Freshens breath and works invisibly to clean teeth while fighting plaque, and odor causing germs products are ALFOX, ALYCORED, BRODEX etc. ALNIMEach 5 ml. contains : Nimesulide 50 mg. Pack Size : 50 ml. Each 5 ml. contains : Nimesulide 50 mg. Pack Size : 50 ml. ALFOX-OZEach 5 ml. contains : Ofloxacin U.S.P. 50 mg., Ornidazole 125 mg. Pack Size : 30 ml. Each 5 ml. contains : Ofloxacin U.S.P. 50 mg., Ornidazole 125 mg. Pack Size : 30 ml. 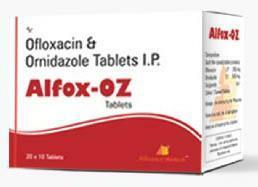 ALFOXEach 5 ml contains : Ofloxacin U.S.P. 50 mg. Pack Size : 30 ml. 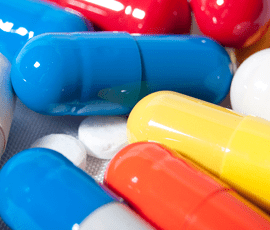 Each 5 ml contains : Ofloxacin U.S.P. 50 mg. Pack Size : 30 ml. Alliaance Biotech founded by Mr. Shiv Kumar Gupta and Mr. Shishir Gupta, located in Baddi, village Katha, Tehsil Nalagarh, District Solan, Himachal Pradesh towards Sai Road Baddi. Alliaance Biotech website design: boosting the online presence!